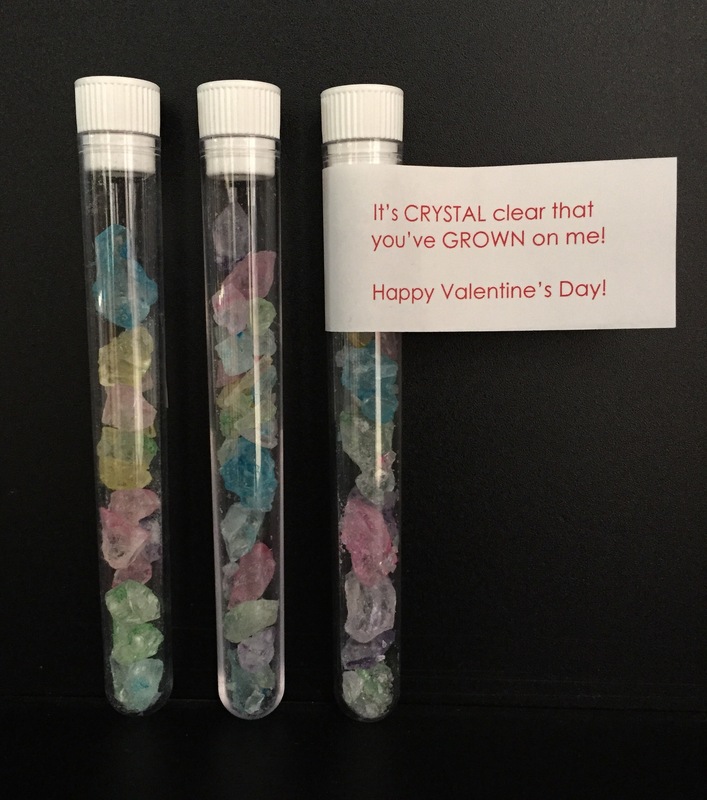 Playing off the science theme from the Petri dish cookies, I thought I’d use test tubes for classroom valentines. I originally was going to put polymer gel balls in the tubes but then thought the kids might not read the directions and end up eating them. I went with rainbow rock candy pieces instead. They kind of remind me of those souvenir pencils that had a tube of gems attached. I used 16 X 125mm plastic test tubes and it took about a pound to fill 25 of them. I had to crush the rock candy I bought to fit in the tubes but you can order smaller pieces through Oh! Nuts.